Ranunculus is a sort of herbs from the family of Ranunculaceae. Includes annual or perennial plants with caustic juice (and sometimes even poisonous). The Latin name comes from the word "rana" which in translation into Russian is meant by "frog". The motivation is simple: many of nearly 6 hundred types (in other sources it is possible to see other data on number: "more than 800" or "about 160"), ranked as the described sort, willingly live near water or in it. These "water lover" quite often consider belonging to the separate sort Batrachium (but Greek "βάτραχο" has the same translation). In popular scientific texts about "overland" Buttercups the transliteration, that is a tracing of Latin option is often applied by the Russian letters. Buttercups are widespread mainly in the Northern hemisphere of Earth in moderate and frigid climatic zones, but is and in New Zealand (for example, Ranunculus haastii = Haast's Buttercup, Ranunculus insignis = the Buttercup outstanding), and in Australia (Ranunculus anemonifolius = the Buttercup anemonolistny). 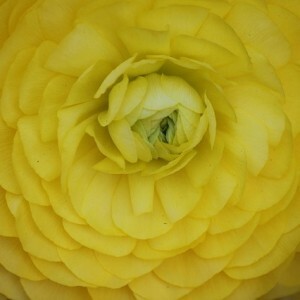 Ranunculus. Ranunculus variety. Ranunculus cultivation.